It is the season of holiday gift giving, being with family and friends and giving back. Being a time of gratitude and reflection, my team and I want to take a moment to thank you for letting us into your homes each and every month. It is with great pleasure that we try, taste and test new recipes, products and books that we think you will love. We also truly adore a good health and nutritional transformation, so sharing stories of those who have successfully lost weight and are feeling their best is one of our favourite things to do. And so... from all of us, to all of you, we wish you health, happiness and so much joy. Stay tuned for lots more in 2017! At Shulman Weight Loss, our goal is to teach you a hormonal system of eating where you lose the weight and keep the weight off for life! Check out Carrie’s before, after and 1 year later shot - successfully keeping 54 pounds off! You do not have to wait until 2017 to look and feel your best. Start now by booking in a free initial at 1 of our 3 locations listed below. Feel your best now... you deserve it! If you want to start losing weight and feeling your best, book in for a FREE weight loss assessment by contacting 1 of our 3 clinics below. Boost your metabolism, burn belly fat and lose the weight for life (at any age!). Simply book in for a FREE weight loss assessment to start losing now. We can't wait to meet you! One of my all time favourite gifts to give are blessing baskets. When you purchase a blessing basket (which has been blessed and beautifully crated by an artisan that has been living in poverty), you empower families around the world not to just exist, but to thrive. 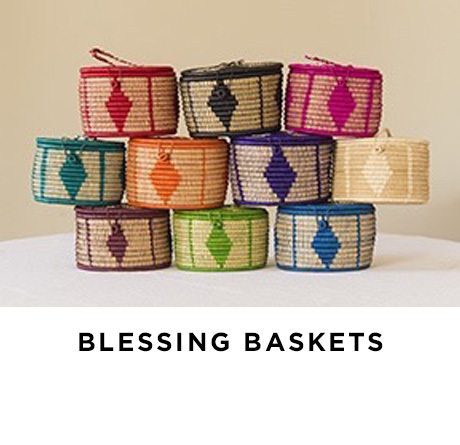 Blessing basket founders pay their artisans 2.5 times fair trade for their handicraft which allows them to break the cycle of poverty. Each blessing basket product comes with an artisan-attached card so you can read more about them and the programs you are supporting. 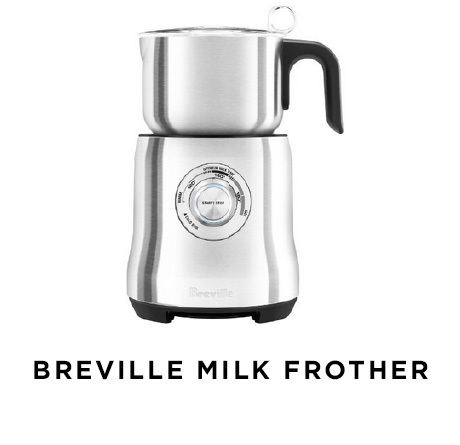 If you have someone in your life that is a tea or coffee lover, this milk frother by Breville is the perfect gift! From matcha lattes (my favorite) to morning cappuccinos, you can make a single serving or as much as 3 cups when guests are over. Easy to use, easy to clean and attractive looking on the counter. For your active friend or family member, proper hydration is key. 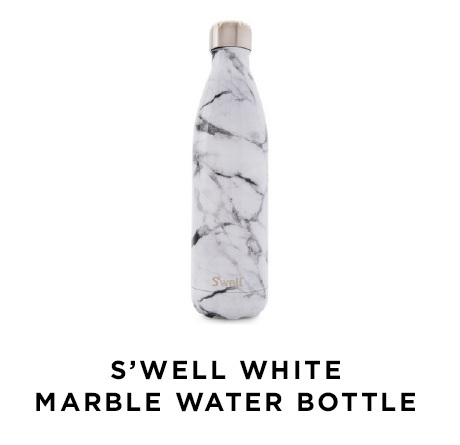 S'well bottles designs are sleek, made from durable stainless steel and really do keep your water hot or cold for 24 hours! Each bottle holds 500ml of liquid. For optimal hydration, drink fill and drink 4x per day. For the yogi in your life, this beautifully designed yoga mat is bright, colorful and best of all, reversible! The non-slip material provides a light grip and the extra cushioning will keep you comfortable through your entire practice. 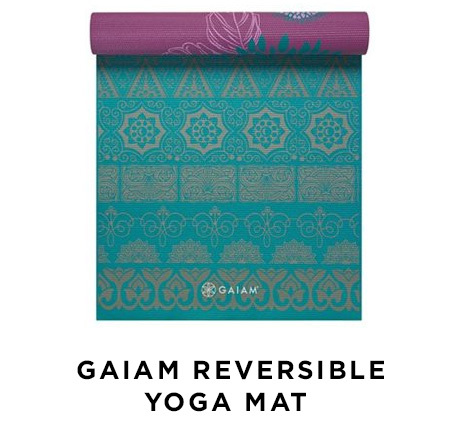 All Gaiam yoga mats are free from harsh chemicals, making it healthy and safe to use over and over again! While most people start off their day in a healthy way, many do not finish their day off this way. This is exactly why I created Skinnychews! 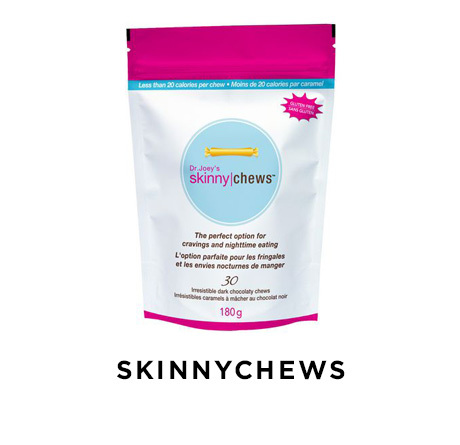 Skinnychews offer 2 grams of fiber per chew, are chocolately, gluten free and can help squash your sugar craving. Only 2 skinnychews per night will do the trick, helping you make it to the next day without a food binge. 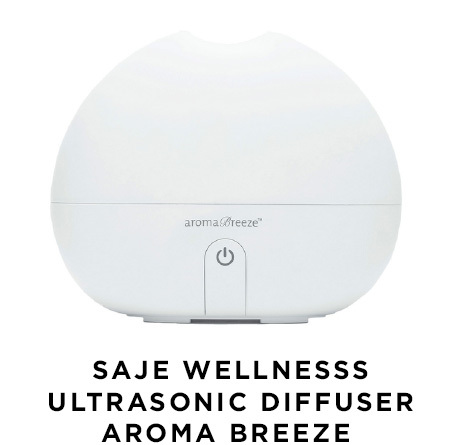 Give the gift of soothing calmness with this ultrasonic diffuser from Saje. Using 100% natural essential oils, this diffuser infuses the air, creating a soothing, relaxing atmosphere. The heat-free approach preserves the integrity of your essential oils, maximizing their wonderful benefits. 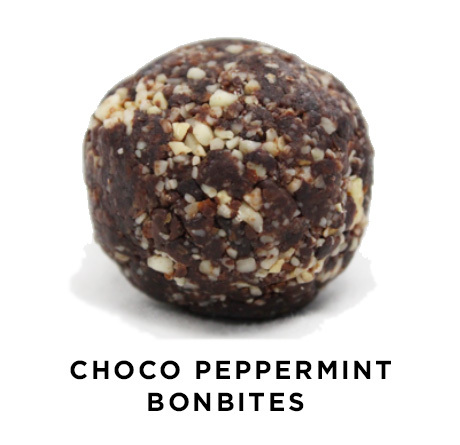 Ring in the holidays right, with these delicious, all natural energy balls that are the perfect combination of chocolate and mint. Made with dates, almonds, cashews, dark chocolate, cocoa, flax, and peppermint extract, they are a healthy, satisfying, and deliciously energizing snack or dessert for any sweet lover on your list. They are also free of dairy, wheat, and preservatives. Looking to buy a gift for someone who has everything? 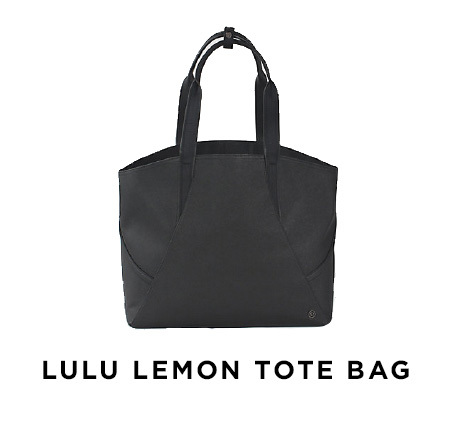 This beautifully designed tote from Lulu lemon is simple yet stylish. It offers a removable pouch that helps keep you organized on the go. Available in 3 colors - black, dark grey and deep green - all of which are water-repellant, durable and easy to clean. 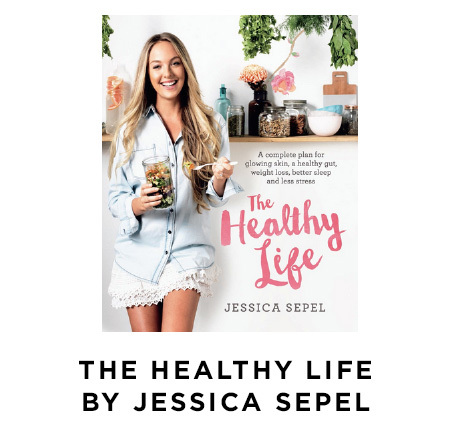 Jessica Sepel is one of my favorite food bloggers and her recipe book The Healthy Life, does not disappoint. The Healthy Life offers hundreds of delicious yet simple, whole food recipes, most of which are gluten free, sugar free, and vegan friendly. Jessica also provides principles to help find health and healing within. Her step-by-step guide is what she used to heal her body and relationship with food. Cut squash lengthways. Scoop out seeds and place in deep baking dish. Place 2 inches of water in the bottom of the dish, cover with foil and place in preheated oven at 425 degrees. Bake for 1 hour 15 minutes. Allow to cool. In large cooking pot, combine chicken broth and diced onions. Bring to boil and reduce heat to medium for 20 minutes. Scoop out squash from shells and add in to chicken broth mixture. Allow to cook for 15 more minutes. In the last 5 minutes add in finely chopped sage, butter and maple syrup. Allow to cool and then puree in blender. Heat and serve. Drizzle the oil on the chicken and rub it all over the skin. Season generously inside and out with salt and pepper. Place the lemon and herbs inside the cavity, if using. Place the chicken breast-side up in a large frying pan or cast-iron skillet. Roast the chicken in the oven for 15 minutes. Reduce the temperature to 375°F and continue roasting for about an hour (until the juices run clear). Combine apples, maple syrup, and lemon juice in a medium bowl and transfer to pie plate. In a separate bowl, combine oats, almond flour, coconut sugar, cinnamon, and coconut oil. Sprinkle mixture over the top of apples. Bake for about 40 minutes and until apples are at desired softness. If after 40 minutes, crumble topping is browning, but apples are not soft enough- place tin foil over the crumble and bake another 5-10 minutes. Allow to cool slightly before spooning out. Serve warm with coconut ice cream if desired. Part of the battle of avoiding weight gain over the holiday season is to be mindful. While you may have heard a few of these tips listed below, trust me, they work! 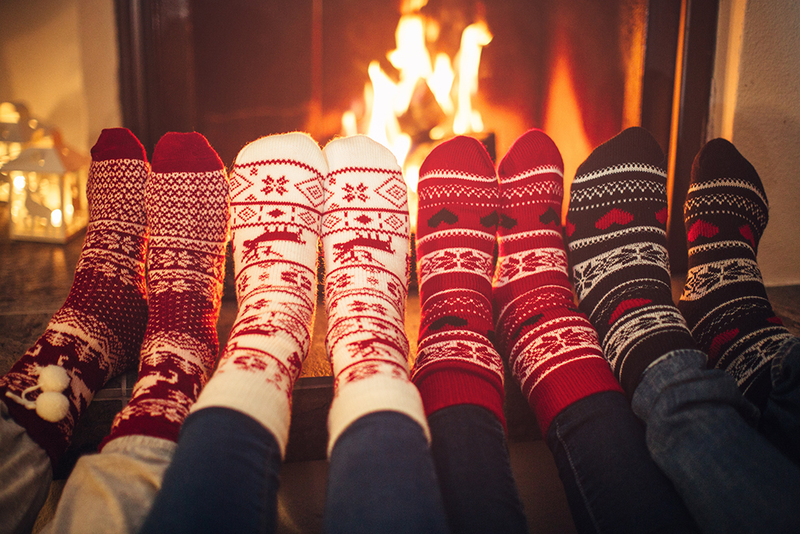 Keep these easy suggestions in mind prior to going to your next holiday party. Fill half your plate with veggies - Food choice can be abundant at holiday dinners so reduce caloric intake by filling half of your plate with nutritious and fiber-filled vegetables. Bring a healthy appetizer with you - Appetizers can often fill you up (and let’s be honest, are very tempting) so bring some healthy options you won’t feel guilty eating – veggie trays, healthy dips and crackers are great! Don’t go hungry - Have a protein or fat based snack before going to your holiday dinners to keep blood sugars stabilized and to help prevent binging on the wrong foods. 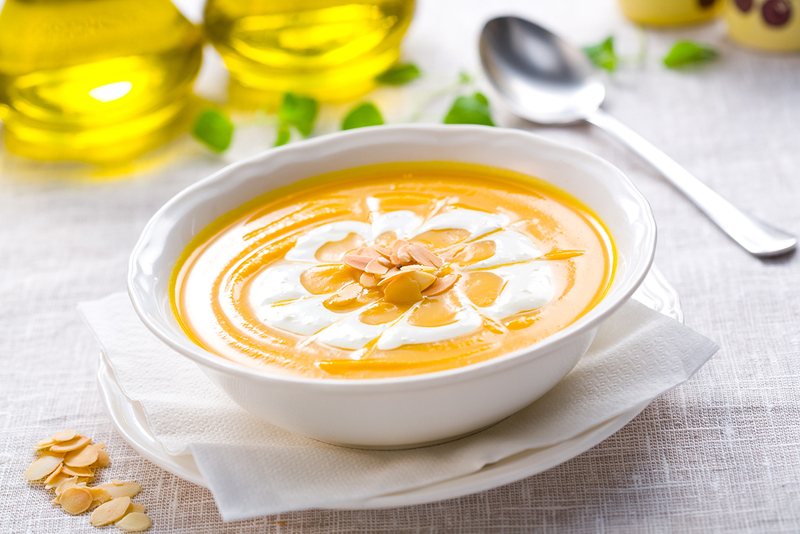 A few turkey or chicken slices, almonds, walnuts, cashews, 1 tbsp of nut butter or a ¼ of an avocado will help to satiate. Make spritzers - Lighten up your alcohol intake by making wine spritzers. Also –count your drinks. When you over do it alcohol wise – you can surely toss your food inhibitions out the window. In other words - when you drink more, you eat more. Plan your week - If you have a busy week of holiday parties, plan which parties you want to drink at and which you ones you think you can skip the alcohol or dessert. Try not to indulge at each and every party to help keep you on track and feeling your very best.